No matter how much you've spent on a bottle of wine, you should always spruce it up with the Vinderalls Wine Caddy. The caddy is shaped like overalls to add a touch of farm flavor to any occasion. It's perfect for a housewarming in the country or a stuffy urban party that is in desperate need of a few good laughs. The Vinderalls Wine Caddy is one of the most unique caddy's out there and is guaranteed to be a conversation piece at any special occasion. Don't just bring wine, bring the Vinderalls Wine Caddy. When the in-laws are celebrating their newest barn raising or new home, it’s traditional to bring a gift such as wine. The Vinderalls Wine Caddy says “Here’s to the good life, pal.” Your bottle of wine will be as snug as Farmer John in his Sunday best. You just need a corncob pipe and the look is complete. 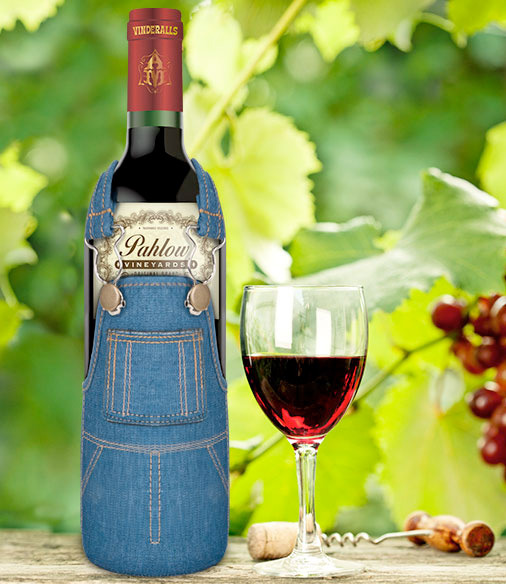 Who Would Love Vinderalls Wine Caddy? This is the perfect gift for anyone that embraces their hillbilly roots whether intentional or unintentional. It’s also great for anyone who wears overalls, which, thanks to the revolving door of fashion, pretty much means everyone who takes stock in style magazines. Don’t let your wine come to the party looking bland and uninteresting. Leave that for everyone else. 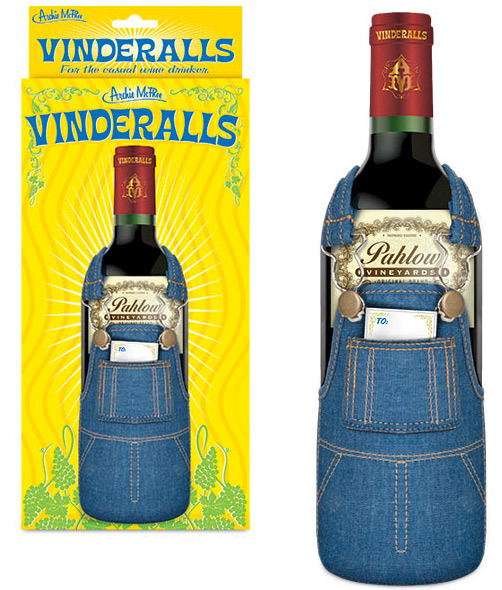 Can I wear the Vinderalls Wine Caddy? It depends? 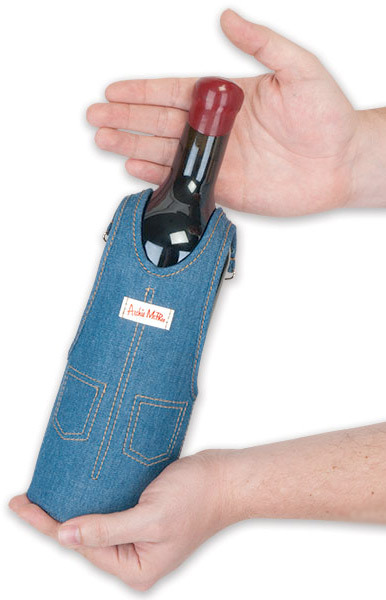 Is your size and shape roughly the same as a wine bottle…and you have no legs? If the answer is yes, then probably. If not, then I’m afraid you’ll have to head to the nearest Farm and Fleet for a good old fashioned pair of overalls. The good news is you can be twinsies with your favorite vino. Will I offend anyone by bringing this? The Vinderalls Wine Caddy is just a good ol’ wine caddy, never meanin’ no harm. It’s a cute conversation piece and doesn’t need to have anything to do with the hosts. If they are a bit on the country side, then they’ll probably find it funny or fitting and the city folk probably won’t even know what overalls are. It’s a win-win situation.